I would actually bet on Liquid here. They have a ton of data on EG and while the NA boys have been playing solid their drafts follow a strict mold. I think it quite possible that, if EG has been hiding strats, they pull out their big guns for this matchup. This will definitely tell us a lot about where these two teams are at the moment. Why would they show their hand in a group stage game? No matter against who. With that start EG has uppers in the bag imo. There are no hidden strats, only teams that adapt to their opponents. You cant pre-plan for this too much in advance. I'm pleasantly surprised by VP not seeming like the Virtus Throw of old. 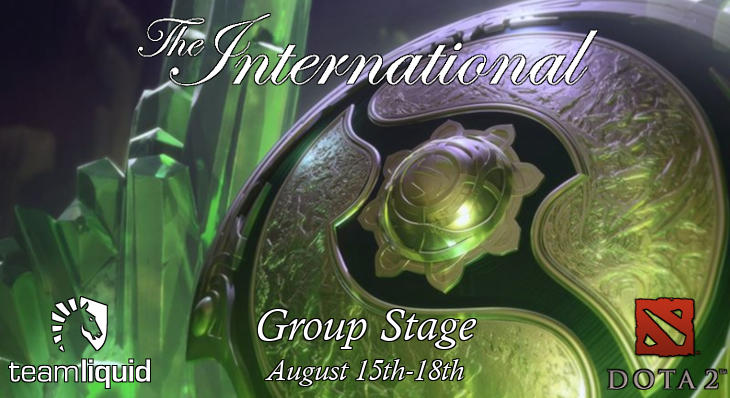 They're still not as good as their peak performance, but maybe this time they'll actually shape up and improve throughout the tournament rather than self-destructing (as is their TI tradition). Well it should be clear that EG has thought about their own drafts and how to respond if the enemies do something specific to counter them. It doesn't mean they are hiding strats. The opportunity to play a lot of different heroes just isn't necessarily there, it also depends on what the enemy picks against you. And why change your formula too much if it is working? I think it's much better to have a solid base that you then tweak depending on what the enemy picks rather than be all over the place with your picks from game to game. Not to mention that teams want to get to the upper bracket so just fooling around in the beginning of the group stage doesn't sound all that believable. I also don't think Liquid has been that weird. They are not exactly new to Huskar, Brood, Wisp and whatnot. Of course teams may not pick the exact same way in groups as they would in an elimination game on stage. Maybe they are more willing to experiment in groups. But also the tournament is so long that their understanding simply changes as the tournament goes along. Maybe some of their ideas worked, some of them didn't, and they see what has been working for others. If they then play differently in the bracket it doesn't necessarily mean they were hiding those things right from the start. This has been the case in pretty much every TI. During group stages teams try out things, and their strategies solidify as the tournament goes on because they adapt to their opponents. However, unlike other TI's I dont see any particular strat, team or playstyle being the "unbeatable one" that everyone tries to figure out. This TI is definitely unique in that regard. Up until now that is, who knows what will happen during the elimination phase when the stakes become much higher. These hidden strats people refer to, are nothing but an emerging adaptation the best teams do to counter their opponents, its really more a case of teams figuring stuff out on the fly based on how their opponents play, rather than that being a strat prepared well in advance. If EG 2-0 winstrike, I think it is rather likely that they will guaranteed to be in the UB before they even play liquid. I mean, teams do have pocket strats they sometimes pull out as a surprise, but they don't typically hide whole solidified playstyles meant to be used across long periods of time. I am actually super impressed with EG's performance. Didn't expect them to do this well.